What If You Were CEO? As many of you are aware, Girl Scouts has experienced a change recently, as we’ve undergone a leadership transition in our organization. And with change comes opportunity. 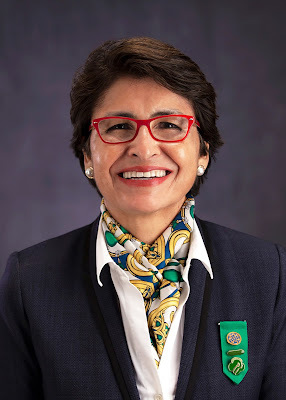 A remarkable, exciting opportunity to build a stronger, more innovative Girl Scouts—one that will be markedly relevant and impactful for girls in the 21st century and beyond. In fact, we’re embracing this new beginning as the evolution of what we proudly view as our “girl renaissance,” celebrating the vibrant promise our girls collectively possess. As with any instance of change occurring within a venerable institution, it’s understandable that people are very interested—as well as invested—in what’s happening, whether they are part of our Movement or an attentive ally. Of course, interest generates buzz, and Girl Scouts welcomes the emergence of passionate, healthy discourse surrounding the future of our Movement (one such example: If I Were CEO of GSUSA). As an organization, we can’t hope to grow and advance in a truly meaningful way without informed, impassioned input from a vast spectrum of voices, all contributing to a more innovative organization. 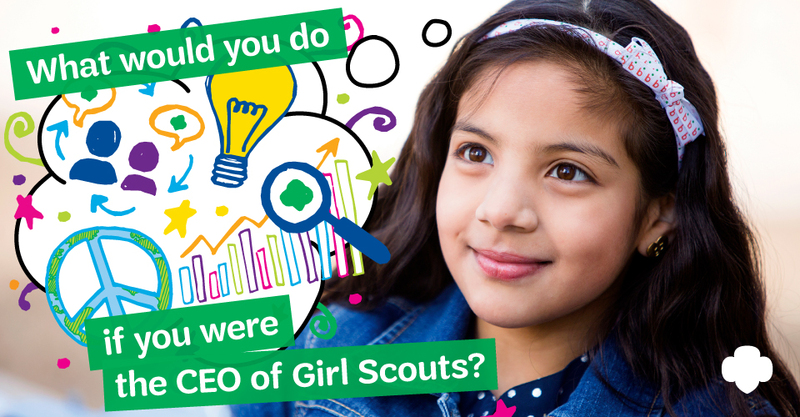 So, in the spirit of refreshing engagement, we put this question out to you, our deeply invested constituency: “What would you do if you were CEO of Girl Scouts of the USA?” We’re eager to hear your insights, suggestions, and vision—and appreciate your respectful candor surrounding ways to fully realize our potential as a Movement. Please feel free to leave your thoughts and “boss-for-a-day” musings on our Facebook page, as we look to establish a substantive dialogue around the continued revitalization of Girl Scouts. We believe this is an inspiring and important time for Girl Scouts, and the advent of a renewed spirit of collaboration in our campaign to enhance our Movement. Thank you in advance for your feedback and for sharing our immense dedication to building girls of courage, confidence, and character, who make the world a better place.